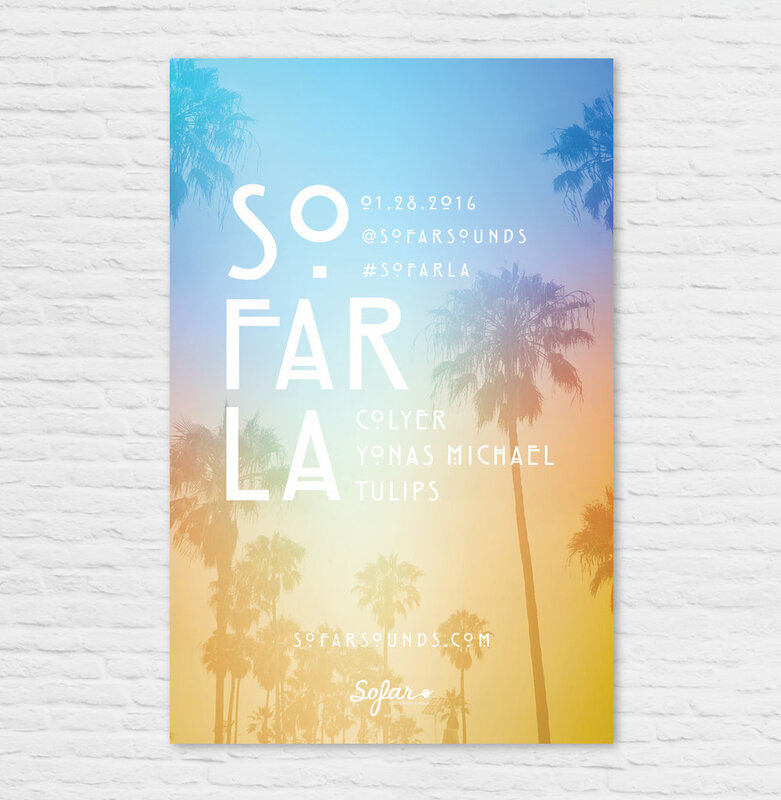 I designed this poster for SoFar Sounds L.A.'s January 28 show. I found this great trendy typeface called Hill House Medium. I love the double bars of the and dots below the O's. In trying to keep with my established theme of posters with cityscapes as backgrounds, I dug up this Palm Tree photo I took last summer. I desaturated the palms and added a gradient over the top with colors that remind me of the sunset (my favorite time of day). What do you think of the final product?